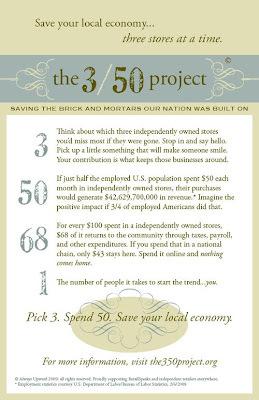 The 3/50 project has me all kinds of intrigued. If only I had $50 in discretionary funds in a year. Tucking this one away for my having-an-income future.